Discussion in 'News & Rumours' started by CSLKennyNI, Jan 14, 2019. Does anyone still believe TotNH will get VR? Well they sort of missed their chance to reveal they were fooling everyone, so yeah... I guess it's happening? It does make business sense I suppose, I just don't like it. theGman and Yoris Kerkhoff like this. Yeah, limited to 30 euros/quid too. Plus from my experience and the experience of people I know, the bank will (more often than not) refund whatever was spent after your card was taken. You can buy sleeves for the cards too which prevent anybody reading the chip from your pocket, but as Ben said, these incidents are pretty uncommon. I'd say Phantasialand accepting card now is a huge plus, will make future visits SO much easier, having to go all the way to Berlin every time was just annoying tbh. Yeah banks will always refund it. Any bank worth being with nowadays will also have a card freeze option in their app so you can stop transactions when you notice your card is missing. 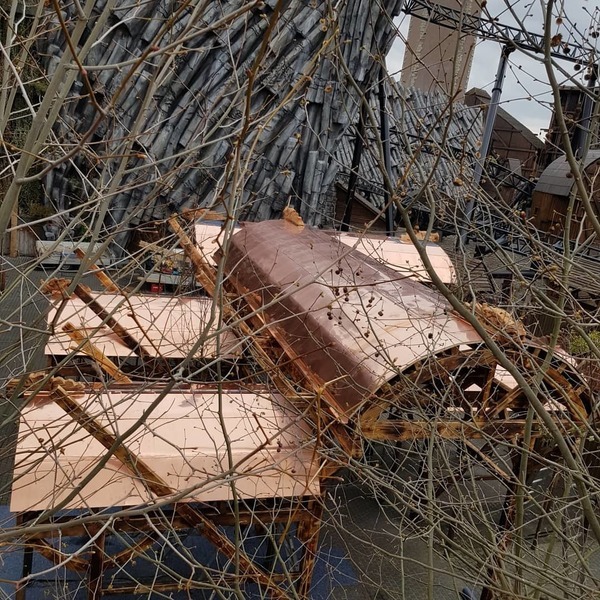 The main roof of the extension queue is receiving some copper sheathing just like Taron's station has. 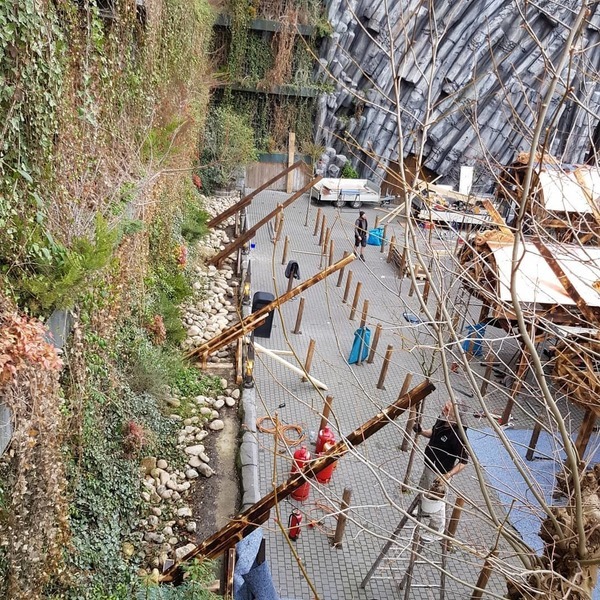 Also along the foot of the vertical garden wall some new elements are being added too. It should definitely make a massive difference in terms of queuing experience and comfort. 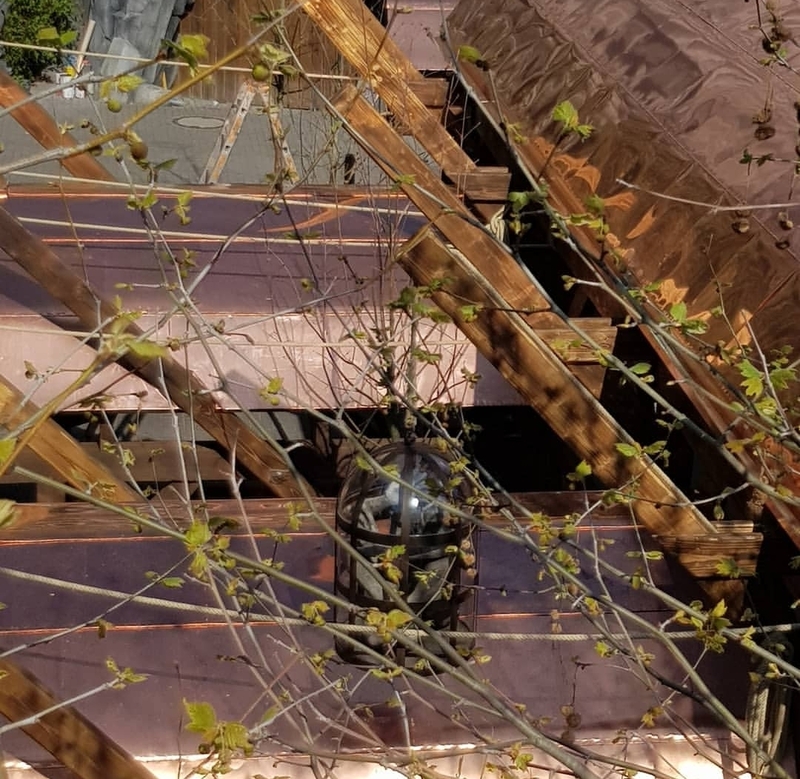 Also while it has been said this area is temporary (unless things have changed) I think its sure a sign it will still be around for a few more years. Improving the existing park is their first priority so I'm certain it won't be redeveloped until Geister/China and Temple/Hollywood have been tackled. mrrc, NeoXIII, Yoris Kerkhoff and 1 other person like this. Some looks at the new finished shelters over the Taron extension queue. 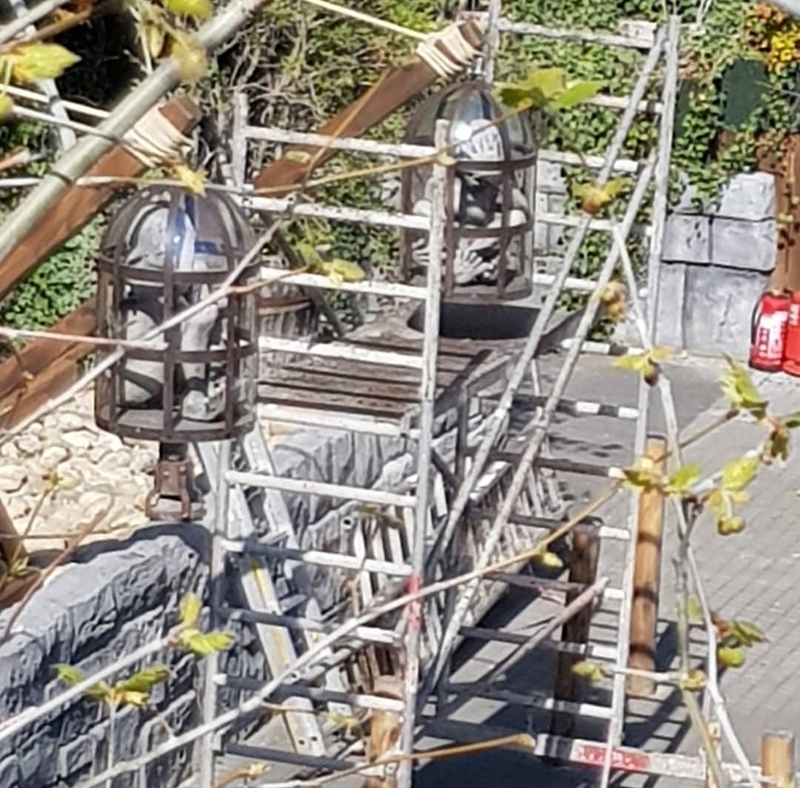 And since they've started to add some theming elements in the form of hanging glass domes/cages with fossilised Goblins inside. A surprising addition and it actually tie into part of the area's backstory - the goblins that live in the basalt mountains interfered with the Klugheimer scientists excavating in the canyon. So they caught the goblins in glass bells; trapped out in the sunlight, the Goblins fell into a deep sleep and froze. Until now the only representation of this was the audio effects among the rocks (you can hear the goblins sniggering and muttering) and the large fossilised Goblin inside Rutmor's Taverne. Lofty, peep, Pear and 7 others like this. This area still looks a bit randomly designed but the goblins in glass cages is a nice touch. How does it look randomly designed? Literally fits the rest of the Klugheim area? Especially once that roofing beds in and starts to oxidise. I love the fact that they've encased some of the goblins in the area to bring that arch of the narrative alive. How does it look randomly designed? Literally fits the rest of the Klugheim area? To be fair, I have to agree with Peep. Obviously they're finished to a nice quality and all that, I would expect nothing less. However to me they do look a bit randomly placed. It just feels a little awkward how there's a big one, some little ones too, some longer than others, and the whole thing is to one side and there's still loads of queue uncovered, but not evenly uncovered? I know Klugheim isn't supposed to look ordered or well thought-out architecturally to fit with the theme, but I agree with Peep that it looks kinda weirdly designed. But I suppose if it's temporary then they probably don't give a .
peep and Yoris Kerkhoff like this. I think that's just the start of the work in the area, I can't help but think they're going to do more. It just needs to bed in a little bit to alleviate the new/old look and it'll be seamless.